Great Staycation Ideas For The Arlington Area! You are here: Home / Great Deals / Great Staycation Ideas For The Arlington Area! We all know that in many parts of the country gas is nearing if not over $4 a gallon. 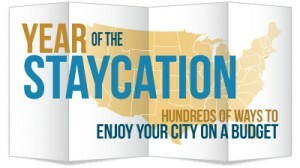 Many people because of that have decided to stay home instead of go on a vacation this year. My family just returned from a trip to a blogging convention where we were very pleased with how much we were able to save, but, that’s another post this is about Staycationing! I have teamed up with a group of bloggers to write about staycationing in our neck of the woods. Today, I will be offering suggestions of places to go and things to do in the Arlington, TX area. Tomorrow, I will have a list for you to all of the other posts to other areas of the country. Even if you aren’t “Staycationing” this year, you can use the list to find things in the area in which you’ll be vacationing! Win-Win! The Texas Giant has awakened – higher, faster and now the world’s smoothest coaster. Experience the beyond vertical banked turns and the world’s steepest drop. What comes to mind when you think about the last time you went bowling? Odds are, you’re picturing the smiling faces, high fives and victory dances of your friends, family or coworkers. And that’s what bowling is all about: come-as-you-are fun that starts the second you walk in the door and memories that last far after the last frame has been played. That’s exactly what you can expect at each and every AMF Bowling Center. Because AMF is where America goes bowling. The Country Music Review is a weekly, country music variety show held at the Arlington Music Hall. Every Saturday night we present a first class show that is fun for the entire family. Start a NEW FAMILY TRADITION with KidToons every week-end at 11 am for only $2/ticket. And, for families caring for CHILDREN WITH SPECIAL NEEDS, SMG is partnering with Variety, the Children’s Charity in Texas and Land O Lakes in Atlanta, to offer Special Needs Screenings of family friendly movies, free to all children with special needs. With everything from bowling and cocktails, to sushi and dancing to DJ music on Fridays and Saturdays, Splitsville gives people permission to have fun, with or without picking up a bowling ball. Warning: you are about to be abducted (and splashed). Yes, it’s a UFO (Ultimate Fun Object), with two 500-foot tentacle tubes from an ominous black flying saucer. They send you on special inner tubes that zoom through the inner darkness of the tentacles, all the way down to a splashy ending.